I’m employed by the Pennsylvania Game Commission, which has about 50,000 acres of public lands where we plant food plots with a four-man crew in our county. I’ve always been into predator hunting and trying to manage what we can locally. I’ve been a professional wildlife caller and participated in world and east coast predator calling contests for about 20 years. My son, Ian, is 10, and he started hunting during our mentor season here in Pennsylvania when he was seven. 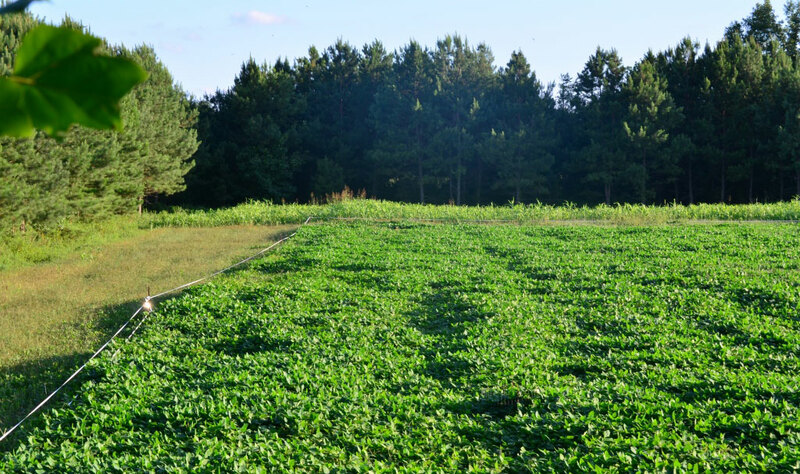 We’ve planted numbers of small food plots on our 17 acres – primarily transitional plots of maybe a half-acre of one type of wildlife food right next to another half-acre of some other kind of wildlife food that will come in after the first planting is gone. My goal is to have some type of food source available for the wildlife on that 17 acres, throughout the fall and the winter. Small properties are still able to hold deer for hunting. We see quite a few deer on our lands, and every now and then in the spring, we’ll spot some turkeys passing through – usually hens with poults out in the field. About seven acres of our 17 acres are fields. After I mow the fields, that’s when we’ll generally see the hens and poults in that mowed grass, hunting bugs. Most of the turkeys in our area will be down the roads from our property on the farms there. I have permission to hunt those farms. 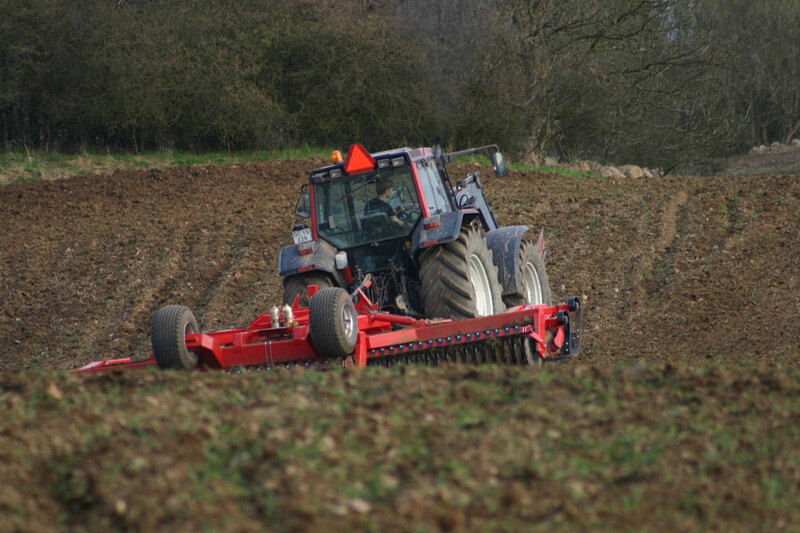 Most of the farmers are dairy farmers and are growing their corn for silage. One of the results of our management program on our 17 acres is that we did harvest a 10-point with 18 inches between his main beams. 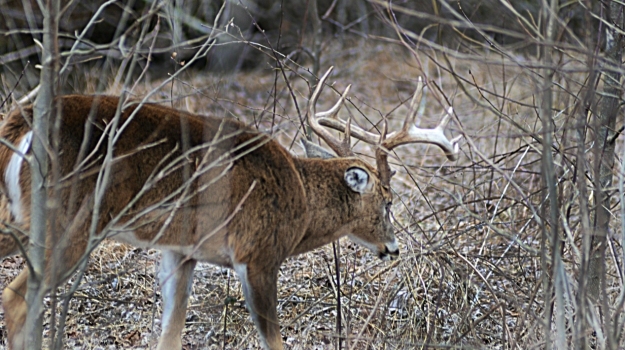 He wasn’t a record-book buck but still would be considered a good buck for Pennsylvania. Our family mainly hunts to fill our freezer. So, we’re not trophy hunting for 180-inch deer – and the bucks never seem to grow that big where we live. However, we do take three to four deer every season off that 17 acres. Steve Frye of Warriors Mark, Pennsylvania, has been involved in the Mossy Oak GameKeepers program for two years and owns 17 acres. Frye hunts public lands and works for the Pennsylvania Game Commission where he’s implemented GameKeepers practices on public lands. Frye is part of the food and cover crew for Centre County, Pennsylvania. Oftentimes hunters don’t realize how actively involved the Mossy Oak ProStaff is in their local communities and states. We have an extremely-large reach-out program to help not only members of the Mossy Oak family, but anyone with whom we come in contact. I guess that’s what I really enjoy about being a part of the Mossy Oak family. We’re not just about camouflage and products; we try to be a service to all that’s outdoors. Alligator hunting applications will be accepted from June 3 - 17 for persons interested in hunting during the 2013 alligator season on public waterways. Applications are available only on the Mississippi Department of Wildlife, Fisheries, & Parks (MDWFP) website, www.mdwfp.com. Applicants must be residents of Mississippi and at least 16 years of age.